Self-help For Your Success is a free resource for those of us who want to conquer self-imposed limits, to forge mature and winning character traits and excel in all areas of life. Our vocation is to encourage and nurture a friendly community of kindred spirits who share, willingly and generously, the invaluable lessons we’ve all learnt from genuine experience. Our true life anecdotes will enrich, challenge, motivate, or inspire the whole community. We’ll achieve this by writing articles and sharing posts that can galvanise others to discover their true passions in life. Together let’s discover our deepest and best self: our most profound love, wisdom and talents that contribute to the transformation of our world. We invite you to join us by commenting on posts and sharing your own stories, tips, and encouragment. 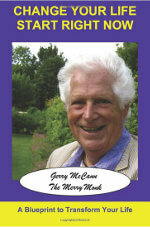 Sue and Gerry McCann are the founders of Self-help For Your Success. How can I contribute articles/posts? Great question! Simply get in touch with us via our contact page, letting us know that you would like to contribute to the website. We will then discuss with you further on how you can do this. Where can I meet you and/or hear you speak? We are based in South-East England, so the majority of speaking we do is here. We are planning to do talks throughout the UK and hopefully USA in the near future. We will make announcements about these events via the website, as well social media.